More than 27,000 attendees will convene in Dallas during Mary Kay’s annual Seminar. The event, running July 16 through Aug. 1, is comprised of five back-to-back conferences, and according to the Dallas Convention and Visitors Bureau, Mary Kay Seminar will pump more than $30 million into the local economy and contribute to 2,200 jobs in the Dallas area this year. 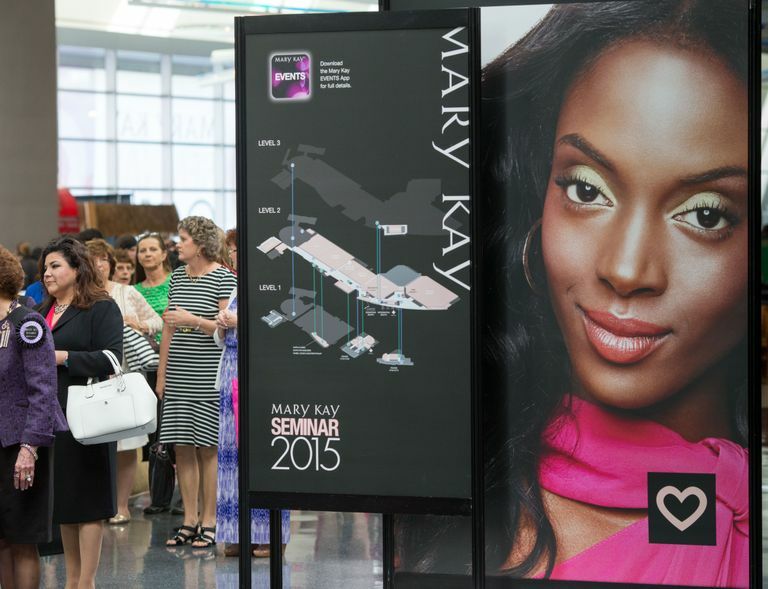 Mary Kay has hosted its Seminar at the Kay Bailey Hutchison Convention Center Dallas since 1974, making it the longest running annual event at the facility. 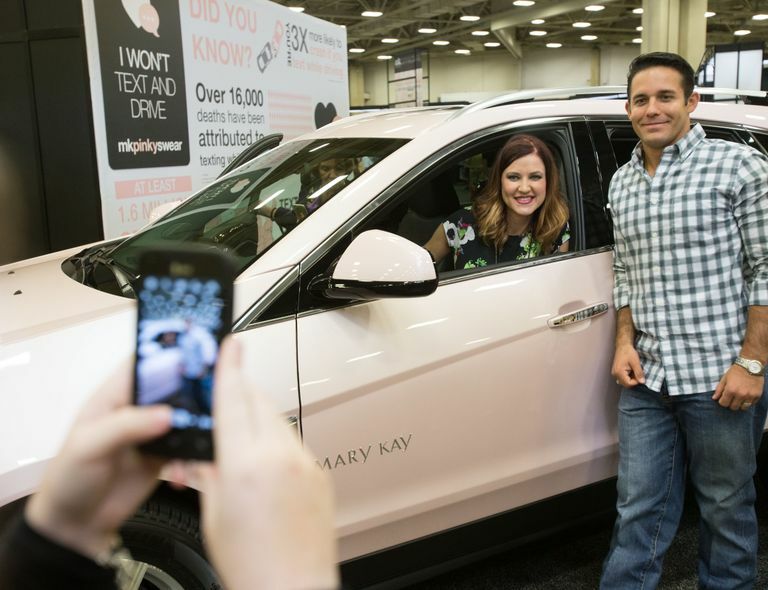 DALLAS – July 16, 2015 – It’s a familiar sound in North Texas in mid-July – thousands of clicking high heels and roaring pink Cadillacs as more than 27,000 attendees convene in Dallas during Mary Kay’s annual Seminar. The event, running July 16 through Aug. 1, is comprised of five back-to-back conferences and is one of the largest events in North Texas based on attendance, economic impact and hotel room nights. According to the Dallas Convention and Visitors Bureau, Mary Kay Seminar will pump more than $30 million into the local economy and contribute to 2,200 jobs in the Dallas area this year. 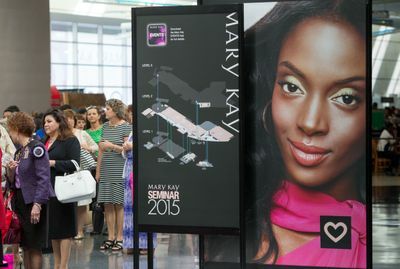 Mary Kay has hosted its Seminar at the Kay Bailey Hutchison Convention Center Dallas since 1974, making it the longest running annual event at the facility. 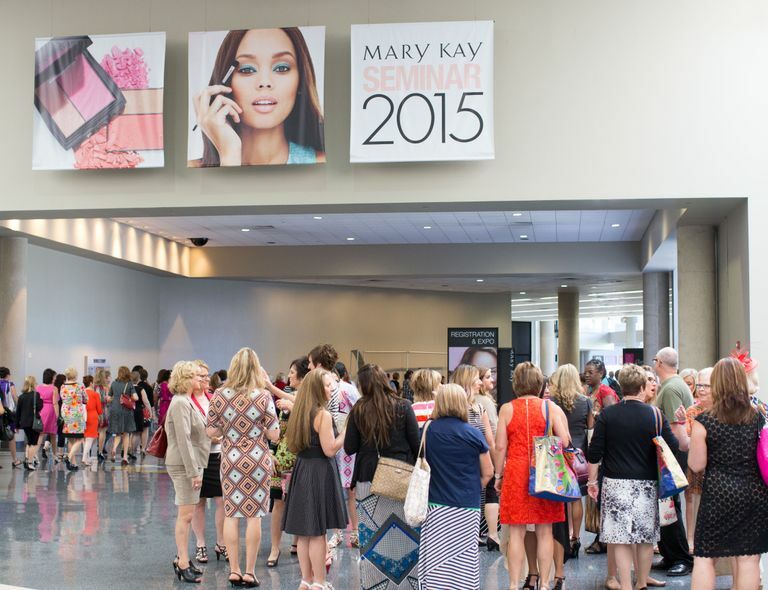 While the convention is traditionally known for recognizing and motivating Mary Kay’s Independent Beauty Consultants, it also serves as an opportunity for the global cosmetic giant’s independent sales force to give back to communities nationwide. 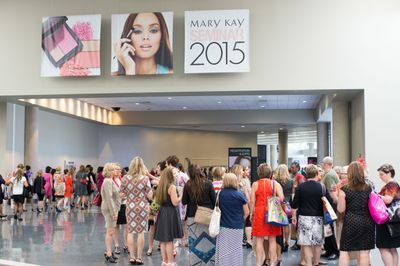 From assembling care kits at the convention center for domestic violence shelters across the country to donating professional clothing for women in need, Mary Kay independent sales force members are not only bringing a hefty economic impact to North Texas through local spending but also their compassion to help others. The theme for Seminar, “Discover What You LoveSM,” invites Mary Kay’s independent sales force to discover what helps them feel beautiful, confident and connected while pursuing their Mary Kay business. During this year’s event, more than $5 million in recognition and prizes will be awarded including the newest addition to the Mary Kay career car fleet, a black BMW 320i and the coveted Mary Kay pink Cadillac. For more information about Mary Kay’s company timeline, positive community impact, rewarding opportunity and irresistible products, click here.